In Donald Trump’s America, the tough guys are in charge now, and they don’t want to hear from any nerdy intellectuals. Scientists are dropping from government payrolls, environmental regulations are being rolled back, and the United States is pulling out of the Paris Climate Agreement, despite the heavy majority of climate scientists who say man-made climate change is real. Past presidents have painted our country as the vanguard of science and progress—even though anti-science sentiments have often simmered below the surface of the public discourse. In the early 20th century, technology started developing faster than laypeople could comprehend: We could now hear disembodied voices on the phone or radio, mobilize armies with jeeps and tanks, and kill people with invisible chemicals. While developments like electric light and disease-eliminating medicine were celebrated, the feeling the world was changing too fast created a suspicion of science and scientists that continues to this day. 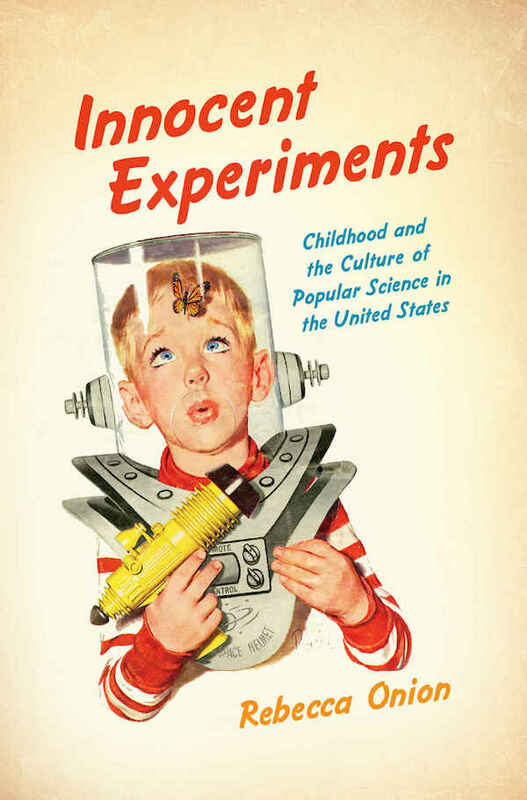 In her 2016 book, Innocent Experiments: Childhood and the Culture of Popular Science in the United States, published by the University of North Carolina Press, historian Rebecca Onion explores American ambivalence toward science education over the last two centuries. As she delved into her research, Onion observed that even during the times that adult scientists have been eyed with suspicion, Americans have always loved the idea of the child scientist—specifically little white boys—exploring and experimenting with untainted hearts. 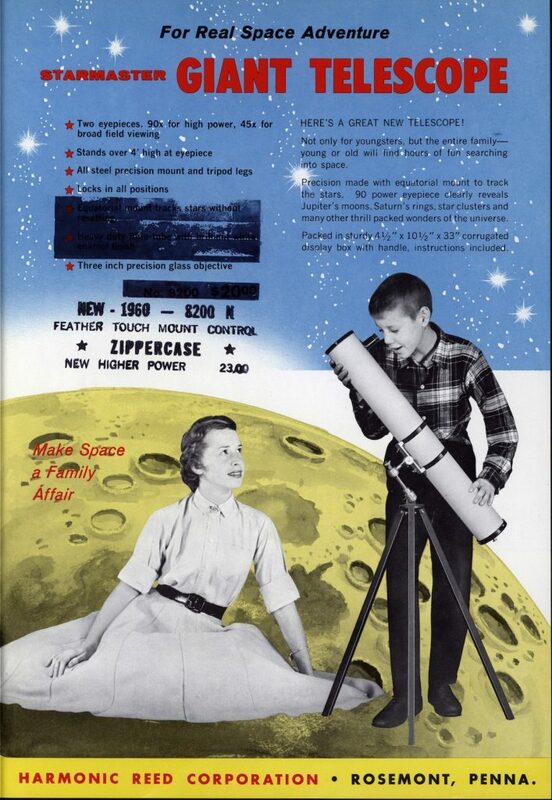 Once the boys grow up, however, their love of science is viewed as eccentric, dorky, and possibly a bit unsavory. That’s how we end up with a public that, on one hand, gets excited about topics touched on grade school—like news about Saturn’s rings or robot cars—and, on the other, fails to support important long-term research about climate or disease. When it comes to science, it’s as if Americans revert to their collective childhoods, rejecting research data that either conflicts with their worldviews—the theory of evolution, the safety of vaccines—or just doesn’t seem, well, fun. 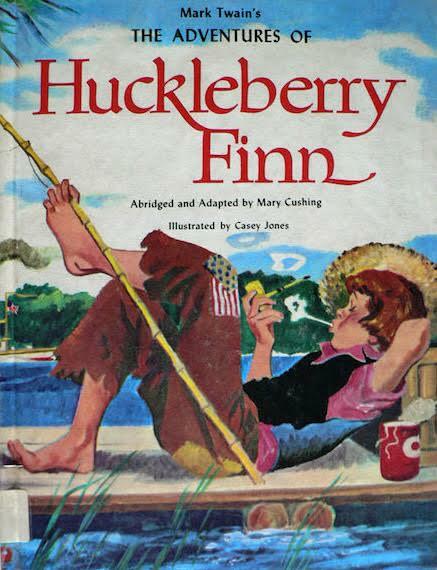 While researching her American Studies master’s thesis, Onion noticed that at the turn of the 20th century, children were portrayed as having a particular affinity for animals and the natural world in general, whether they’re catching fireflies, climbing trees, or digging in the dirt. At other times—say, 2017—children are thought to intuitively understand very unnatural modern technology like smartphones and laptops. “At different times in our history, people were invested in the ideas of children as being modern or as being anti-modern, which is a weird paradox I find fascinating,” Onion says. “And then it came to me: Science is the link that connects man-made technology and the primitive natural world.” After all, scientists have to use microscopes to view and fully understand organic cells and microbes. After digging into the subject, Onion, who also writes The Vault blog for Slate, concluded that Americans tend to see children as utopian figures who can tap into a pure, unfettered spirit of science, empowered to experiment and comprehend the world around them. But it’s short-lived. Inevitably, a child will lose his or her innocence, and in pop culture, that also means his scientific purity. You can see this phenomenon when the media goes wild for any child who makes a significant scientific breakthrough. Onion thinks the pressure on kids to hit on a groundbreaking discovery is not only unrealistic but also contrary to how most advances in science happen. When Americans do get excited about scientific discoveries made by adults, it’s still through an immature, fun-centric lens: The vast social project of science is ignored in favor of celebrity scientists mythologized as stubborn individuals—similar to cowboys on the frontier—who strike out on their own and discover unexplored territory. We see Thomas Edison as a relentless, pioneering entrepreneur and Albert Einstein as an out-of-the-box thinker. Steve Jobs, Steve Wozniak, and Bill Gates were the swaggering “pirates of Silicon Valley” who created personal computing as we know it in their garages. In 2006’s “Astronaut Farmer,” Billy Bob Thornton plays a rancher who makes his astronaut dreams come true by building a rocket in his barn and launching himself into space. 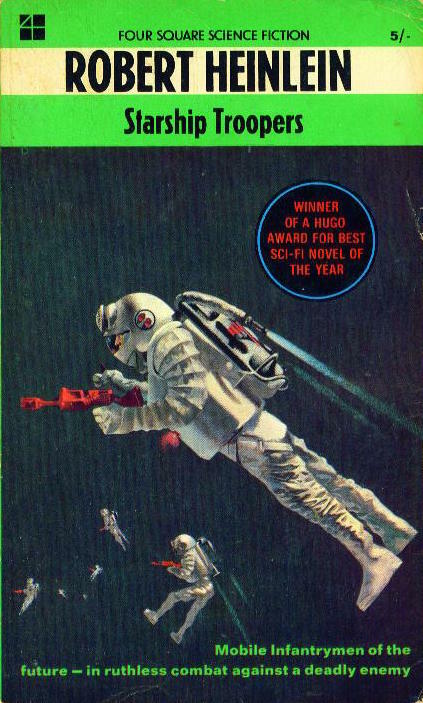 Even in the 21st century, Americans indulge the fantasy of the rugged male scientist who makes some retro-futuristic gizmo straight out of 1950s sci-fi and becomes front-page news. In the 2006 fictional film, “Astronaut Farmer,” a thwarted wannabe astronaut, played by Billy Bob Thornton, risks his family’s physical safety and financial well-being to launch his own manned space rocket from their Texas ranch. In 2009, amateur Colorado scientist Richard Heene claimed his 6-year-old son took off flying in a UFO-like helium balloon he invented (while the balloon was aloft, the kid was safely hiding in their family home). Recently, California inventor Paul Moller has re-emerged, claiming his cherry-red flying car is just a few years away from hitting the market, something he’s been saying since the ’60s. 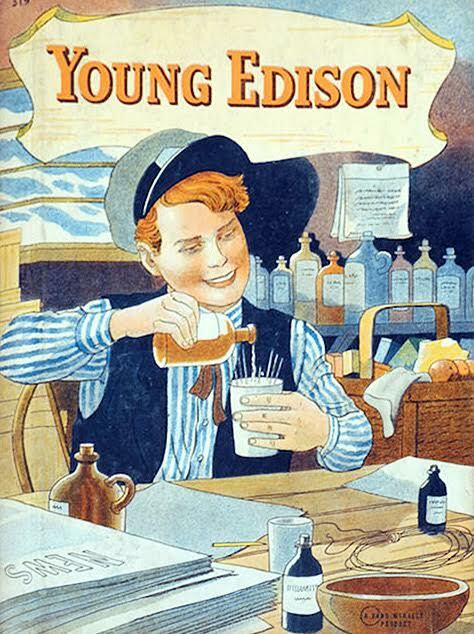 The ideal of the boy scientist who grows up to be a scientific hero dates to the 19th century. 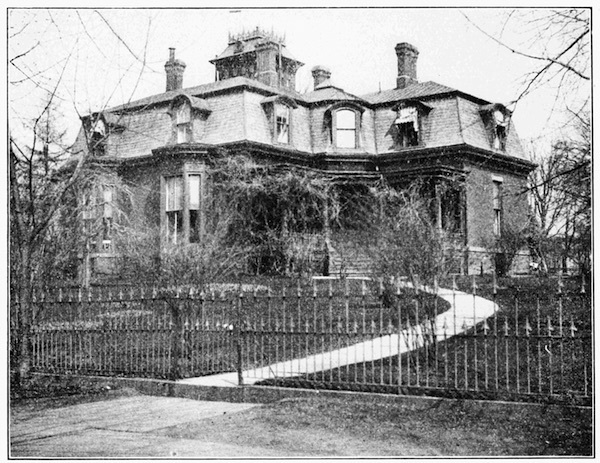 Upper-middle-class white Victorians started to view childhood as a sacred time instead of seeing their kids as little adults who were put to work as soon as they could walk. Wealthier adults became smitten with images of cute white kids and chubby-cheeked cherubs. Black children, meanwhile, were depicted in ads and pop culture as wild, innately criminal, and precociously sexual. In Pricing the Priceless Child, sociologist Viviana Zelizer details the emergence of modern childhood from the late 1800s to the 1930s, a time when white parents started to define their children as economically “useless” and emotionally “priceless.” “That’s when Western culture started to develop child psychology and theories of child’s play being a child’s work,” Onion says. Studying natural history had been a popular hobby since the mid-19th century for both men and women, who collected seaweed, bugs, animal bones, and rocks to show off in scrapbooks and curiosity cabinets. When pinning butterflies or purchasing taxidermy for decoration or entertainment was deemed cruel at the turn of the century, specimen-collecting fell out of fashion with adults. But these collections could be redeemed if they were employed to educate children. In 1899, the first museum specifically for children, the Brooklyn Children’s Museum, opened. 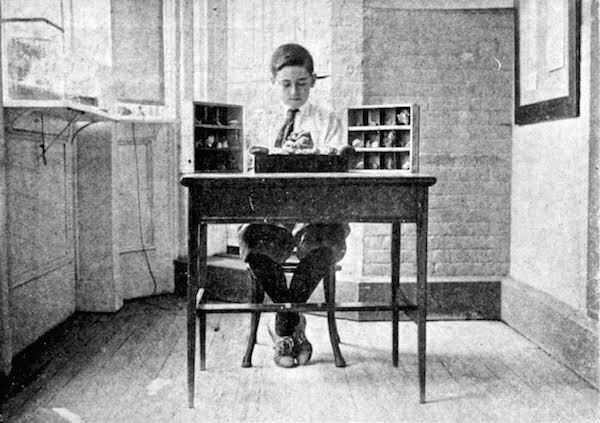 Its departments included botany, zoology, geology, meteorology, geography, and history, with an explicit focus on “natural study,” which encouraged children to make their own observations and play at doing scientific work of organizing minerals and catching bugs instead of just relying on books. Of course, at the same time, Americans were spooked by the use of chemical weapons during the war (see the depiction of Doctor Poison in 2017’s “Wonder Woman”). But, Onion explains, the American chemical industry had become more powerful than ever, as the United States stopped importing chemicals from German companies in the 1910s. The newly thriving industry went on a PR blitz in the 1920s and 1930s to restore Americans’ trust in its chemists. Another crafty way the titans of industry eased the public’s fear of chemical science was to promote home chemistry sets for boys. 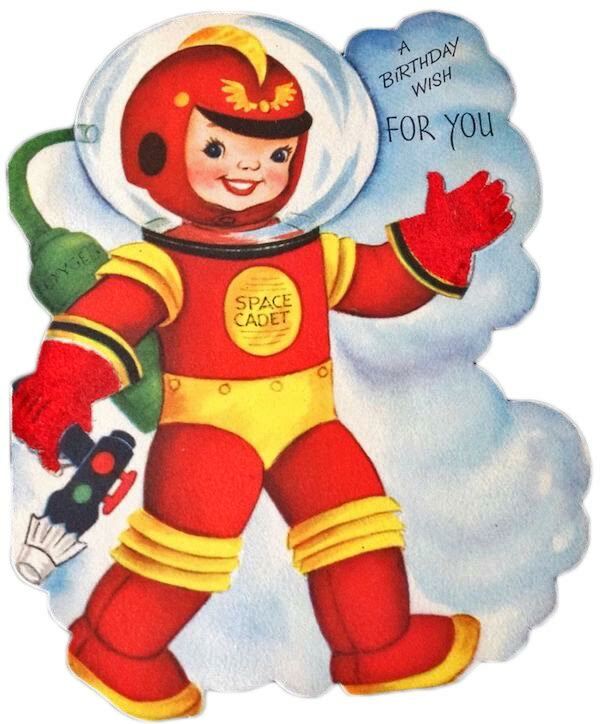 The two most popular brands produced were by A.C. Gilbert’s toy company, which also made Erector Sets, and by Porter Chemical Company, under the brand Chemcraft. 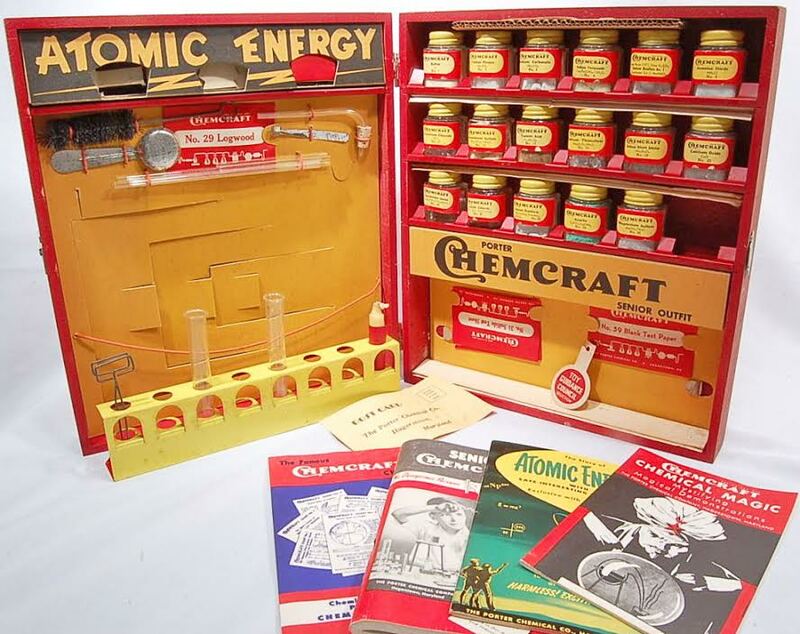 “At the time, the instruction manuals for kids’ chemistry sets described the American chemical industry as a patriotic venture and investing yourself in it as a patriotic act,” Onion says. White boys were always featured on the boxes, and some of the instruction booklets made the racism explicit, Onion discovered: A 1937 Chemcraft set came with instructions for putting on a “chemical magic show,” which suggested the assistant wear blackface to portray an “Ethiopian slave.” Other sets alluded to American imperialism in more subtle ways. 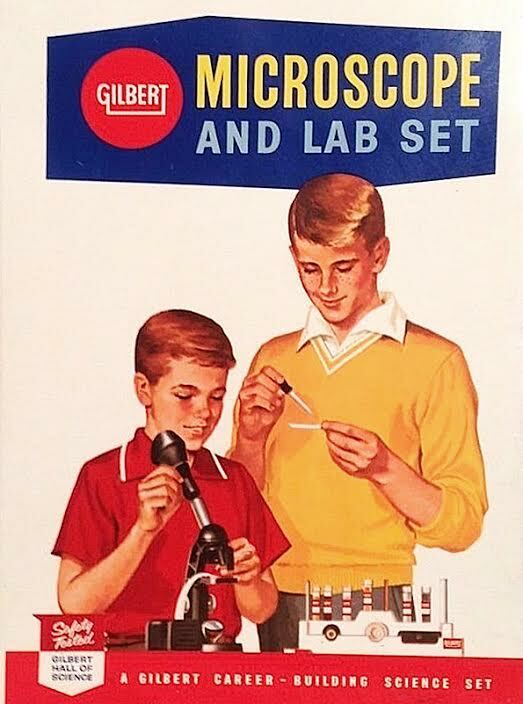 When you look back at the dangerous chemicals Gilbert and Porter included in their science kits—potassium nitrate, sulfuric acid, sodium ferrocyanide, calcium hypochlorite—one might assume that boy scientists in the 1920s and ’30s operated under stricter parental supervision. But Onion says this was not usually the case. A good parent might read the warning in the instruction manual, tell their son to exercise caution, and then turn over the basement, garage, or a spare room to his chemical tinkering—from making batteries to bending glass with an alcohol lamp. In the 1930s, a public-safety campaign alerted mothers to the dangers of household chemicals, Onion says, which gave them pause about the acids, dyes, explosives, and substances that could create toxic gases in the science sets. Some mothers, unfortunately, learned about those chemicals when their sons had deadly or disfiguring accidents. When the toy industry became more regulated in the 1970s, those substances were removed from chemistry sets. “Boys taking risks is a recurrent theme in my book,” she says. “It pops up throughout history when advocates of science education, especially for boys, are making the case that boys should be allowed to do something dangerous or daring. 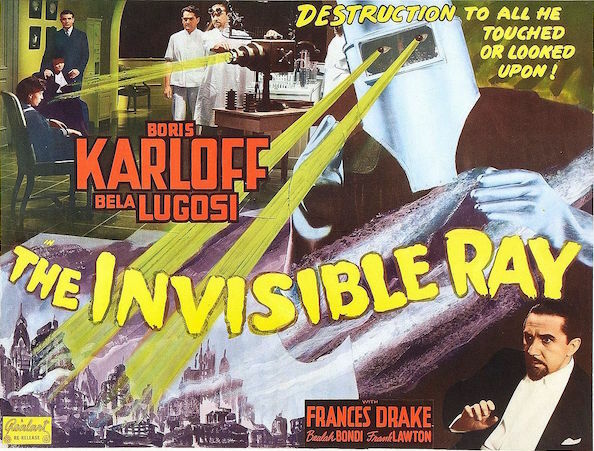 A male scientist will recollect blowing things up in their basement lab, horrifying his mother. In fact, the decline of interest in science is often blamed on kids not having the same sort of risky chemistry sets. 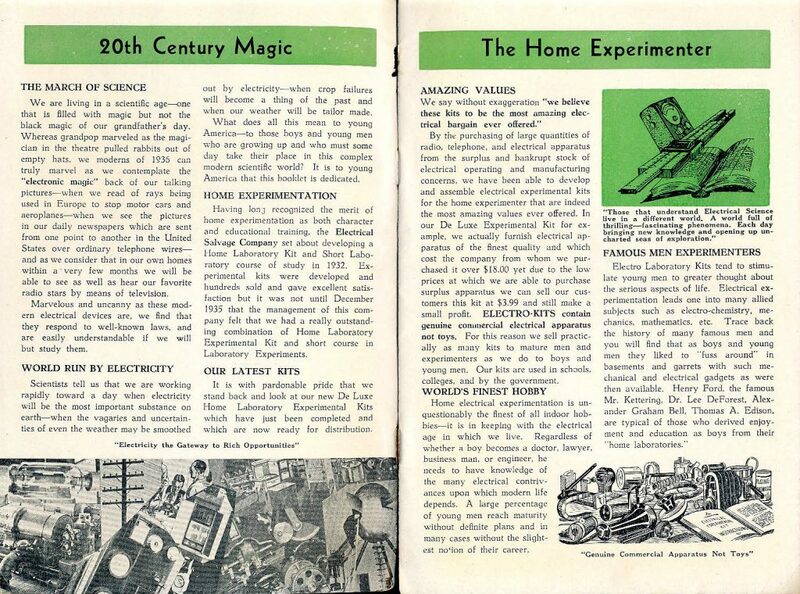 After World War II, Americans embraced the bounty of wartime scientific advances and a thriving economy: They now had cheap goods made out of high-tech plastic, streamlined appliances, and home TV sets. But they were also haunted by the specters of the A-bomb and the H-bomb. The burgeoning Cold War with the U.S.S.R. raised fears that workaholic Soviet scientists, laboring relentlessly under Communism, were making progress faster than American scientists, a competition that played out in the Space Race. Mainstream American pop culture attempted to assure people with images of the perfect suburban family defeating Communism through consumerism. 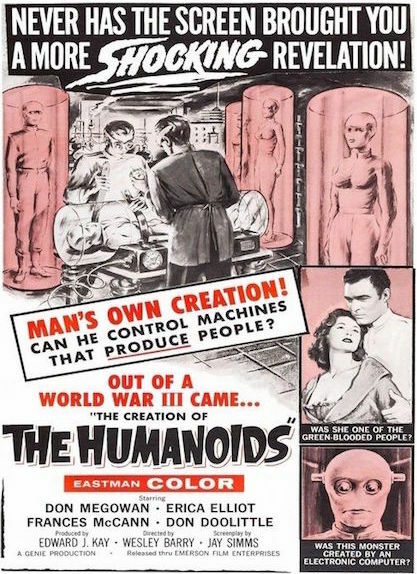 However, American B-movies, comics, and pulp fiction were overrun with evil robots, monsters from space, radioactive mutants—and “mad scientists.” All of this affected how Americans regarded scientific education. 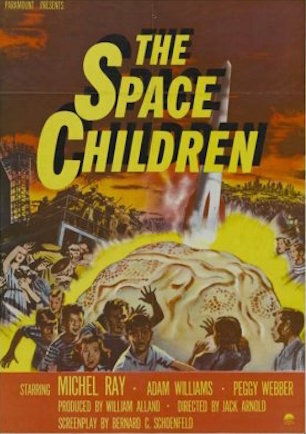 However, these fears were empowering for science-fiction loving boys like “Rocket Boy” Homer Hickam, whose life story is the basis for the 1999 movie “October Sky.” A 14-year-old living in West Virginia when the Russian satellite took off, Hickam felt he and his peers were “being launched in reply to Sputnik.” With his friends, he started a club called the Big Creek Missile Agency and began building rockets. The club garnered adoring press attention and eventually won gold and silver medals in the 1960 National Science Fair. Hickam grew up to become an engineer for United States Army Aviation and Missile Command and NASA. 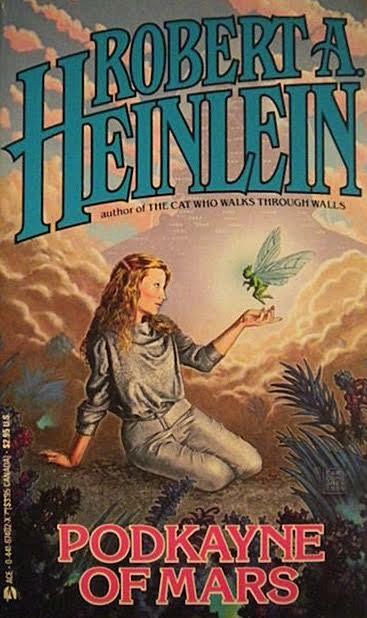 In Robert Heinlein’s 1959 novel Starship Troopers, boys take up arms and fight aliens alongside their fathers. Even before all the Cold War anti-science paranoia, the Science Talent Search, launched during the war in 1942, was designed to address the wartime concerns that the United States didn’t have the scientific “manpower” to face its enemies. It was funded by Westinghouse Electric Corporation, organized by scientists and journalists through a nonprofit called the Science Service, and run by journalists with an education in science. High-school students—both boys and girls—were encouraged to submit original research, and 40 finalists, of about 2,000 to 4,000 submissions, would travel to Washington, D.C., to compete for scholarship cash prizes. The contest continues today as the Regeneron Science Talent Search. Besides the scholarship money, the finalists sent to Washington would attend lectures by and talks with prominent scientists, visit national labs, display their projects at the National Science Fair, field judges’ questions in panel interviews, and make media appearances. They would also have an opportunity to meet and take a photo with the President of the United States. “The people who were conducting the search wanted well-rounded students, someone that you want in your freshman class at a college because they’re very good in academia, but they allow themselves to also have lives,” Onion explains. It’s also hard to believe the Science Talent Search was the meritocracy it claimed to be in the mid-century, when you see how white the groups of finalists were. While the girls are in the minority, it was rarer to see a person of color among the bunch. And many professional scientists objected to the application process and rejected the idea that a great future scientist needed to be “well-rounded” or a popular athlete. 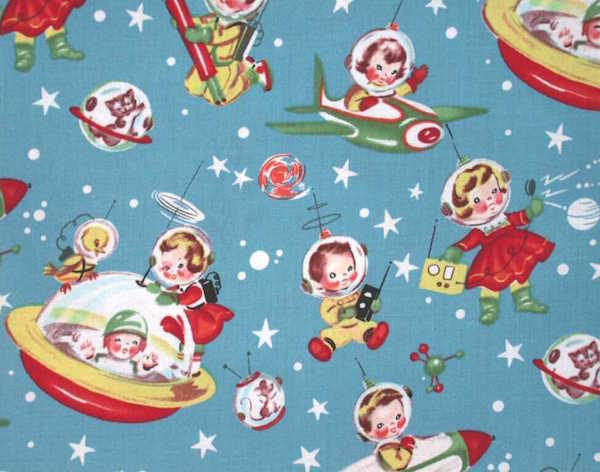 While the Science Talent Search finalists—similar to Homer Hickam and his “Rocket Boys”—were trumpeted as the heroes who were going to defeat the Soviets with their smarts, some working scientists were annoyed the youth were receiving so much fanfare. While white girls participated in the Science Talent Search, it didn’t mean they had the same opportunities in STEM fields as the boys did. 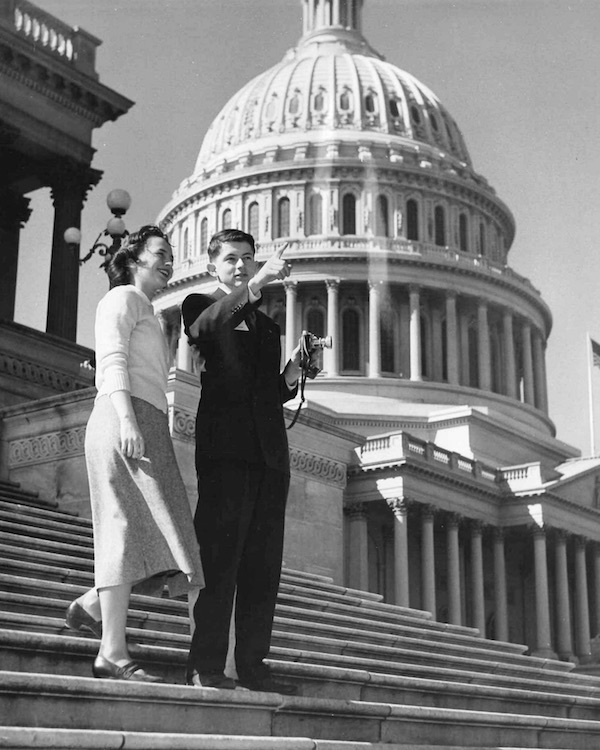 In the postwar era, working women were asked to step down from their jobs, hand the best positions to returning veterans, and prioritize getting married and raising children, often when they were just out of high school or college. If you’ve seen the 2016 movie “Hidden Figures,” you know that even women who kept their jobs didn’t receive the respect they deserved. Mathematicians Katherine Johnson and Dorothy Vaughan and aspiring engineer Mary Jackson faced the double hurdles of racism and sexism when they worked for NASA in the 1960s. Johnson, for example, had to push to get her name on her own breakthrough discoveries or be allowed to sit in meetings and access crucial top-secret data. In labs across the country, women were often relegated to less-interesting low-paying science positions like being the lab assistant, number crunching, or keeping track of records or data. Onion says those postwar biases are reflected in the “Science Talent Searchlight,” a stapled mimeographed publication the STS sent its past finalists. 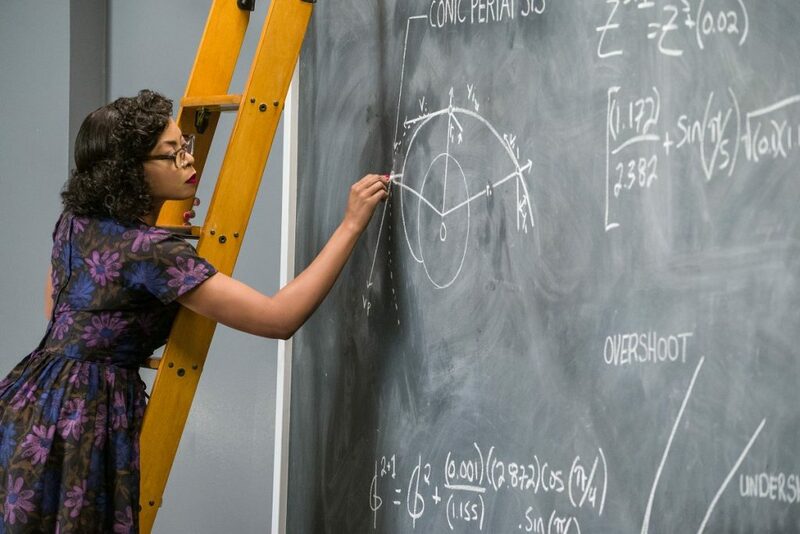 In the 2016 movie “Hidden Figures,” Katherine Johnson (played by Taraji P. Henson) works out essential launch equations for NASA in the early 1960s. Postwar women also received the brunt of criticism, as they had in the 1930s, for smothering their sons and discouraging independent scientific daring-do with “overmothering,” and thus hindering U.S. progress. 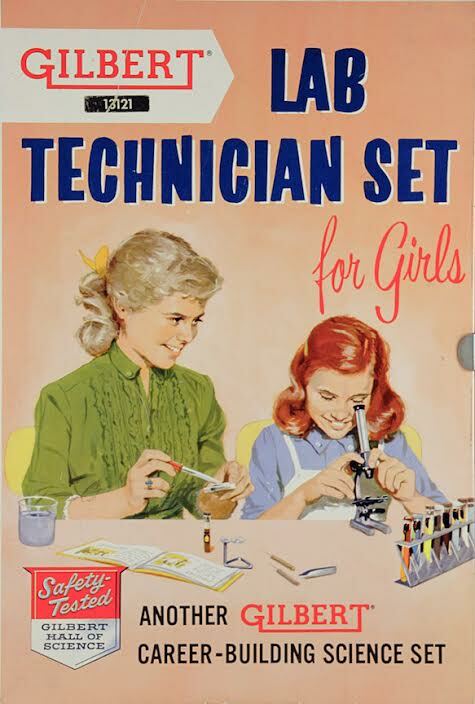 As a result, some people advocated for the science education of girls. In the ’50s and ’60s, though, some people were starting to question the American Dream of a nuclear family living in carbon-copy suburbs. Maybe all the convenient appliances and consumer goods generated by scientific developments were starting to cause moral rot? As the Vietnam and Cold Wars progressed and climate scientists rang the alarm bells about pollution, consumerism, and overpopulation in the late ’60s and early ’70s, Americans started to feel hostile toward government-backed research and corporate-sponsored science and their potential to ruin the planet or kill us all with napalm or nuclear bombs. This led to a bifurcation: Oil and gas companies were giving museums big money that let them install pro-industry science exhibits with titles like “The Wonders of Oil,” which was similar to the chemistry-company propaganda that abounded in the ’20s and ’30s. 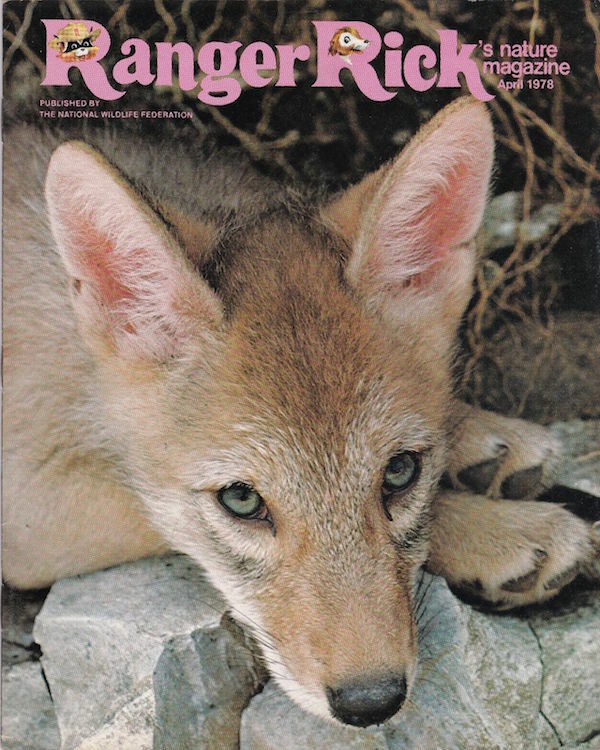 At the same time, ecology magazines like “Ranger Rick’s Nature Magazine,” founded in 1967, warned children of horrors of oil spills while encouraging them with the efforts to clean up climate disasters. The magazine, published by the National Wildlife Federation, was a bleak twist on the nature-studies movement of the 19th century. However, a third way to approach children’s science emerged in 1969 when physicist and educator Frank Oppenheimer—brother of J. Robert Oppenheimer, one of the “fathers of the atomic bomb”—opened the free Exploratorium science museum in San Francisco. While Oppenheimer insisted his hands-on museum was not political (and it was certainly not pushing an environmental-activist agenda), you can see the influence of San Francisco’s counterculture with its hands-on funhouse-like exhibits that emphasized children’s play, exploration, and liberation. They could pop into a hall of mirrors, stand on an earthquake platform, or operate a giant lightning-shooting Tesla coil. These kids weren’t required to learn anything about science, even as they experienced the joy of gizmos displaying scientific principles. “Frank Oppenheimer’s creation of Exploratorium was a way of reclaiming the utopian side of science,” Onion says. “Oppenheimer was opposed to typical science museums for a number of reasons, including that they were taking money from Big Oil. The answer, for him, was not necessarily to make a museum that was against oil or pollution, but rather to try to restore people’s joy in science. He thought Americans were depressed about science and technology because they didn’t understand it, so they were threatened and afraid of it. So he created a place where the joy in science that he felt—which was by all accounts intense—could spread. It was nothing short of a major social project for him. He wanted it to be a place where parents, kids, teachers, and scientists could be on the same plane, a pure place of experimentation. Today, the seemingly apolitical fun-science museum Exploratorium, which reopened in 2013 in a new location and costs $20-$30 admission, is more popular than ever. Online, stories about topics like planets, space aliens, and dinosaurs often go viral. And Trump’s anti-science populism has inspired a backlash of science cheerleading, including the March for Science on April 22, 2017. Having to cram a pro-science message on a piece of poster board, many marchers turned to images from their grade-school science textbooks, like atoms, dinosaurs, rockets, and periodic-table squares. Popular science is still popular, and slowly growing more inclusive: The Girl Scouts, for example, just added 23 STEM-related badges girls can earn to their program. But in American politics, the high-school tough guys are running the show now, and the “brains” are being scorned. As Trump stacks his cabinet with friends of the oil and gas industry, fossil-fuel companies are even infiltrating public schools in states like Oklahoma, where some school systems are employing industry-created science curricula. Scott Pruitt, the climate-change denier in charge of the Environmental Protect Agency, is planning to install pro-coal exhibits in the agency’s museum, while a recent poll showed that Americans are more concerned about ISIS and cyber warfare than climate change. The Union of Concerned Scientists is circulating a petition that’s a letter to Trump stating, “As you forge a new path forward for America, it is vitally important that science and a respect for the facts guide your decision making.” More than a dozen professional scientists have been motivated to run for Congress in response to the president’s policies. American science is in a time of crisis. Industries find it convenient to denigrate health, environmental, and climate science while supporting materials, cybernetic, and energy science. It’s not cognitive dissonance; it’s greed. Basically disagree. You are living in a culture that is obsessed with the products of technology and ‘progress’ and addicted to the culture of materialist capitalism that drives it. If you think science and technology is chronically underfunded, you should try working in the arts sector. It’s more philosophy, critical thinking and self-reflection that is needed. There is already more than enough research and evidence re. climate change, energy crisis etc. and the solutions out that quagmire. We already have the tools that we need. What is lacking is the moral gumption to use them. why is an article on a collectors website so politically charged, go write for the communist news network. I’m here for information not a brainwash ! immediately deleting CW from my Bookmarks..